4 pages were found with this tag. Using Artificial Neural Networks to model aspects of the project budget where traditional algorithms and formulas are not available or difficult to apply. In this episode, Ricardo talks about how neural networks and the analogous estimating can help when determining the project budget, especially when you have access to reliable historical information. This paper aims to discuss the use of the Artificial Neural Networks (ANN) to model aspects of the project budget where traditional algorithms and formulas are not available or not easy to apply. Neural networks use a process analogous to the human brain, where a training component takes place with existing data and subsequently, a trained neural network becomes an “expert” in the category of information it has been given to analyse. This “expert” can then be used to provide projections given new situations based on an adaptive learning. 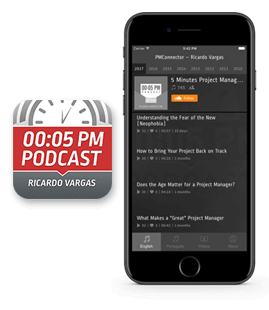 In this podcast Ricardo discuss the relevance of the Work Breakdown Structure (WBS) to the Project Cost Management, specifically during the budget estimating. The podcast also discuss the influence of the WBS quality to the budget quality and the difference between cost and price in a project.